Part of the "Look and Cook" series, this book shows both beginners and more experienced cooks how to prepare different foodstuffs. Each step is illustrated and techniques demonstrated to help clarify points raised. 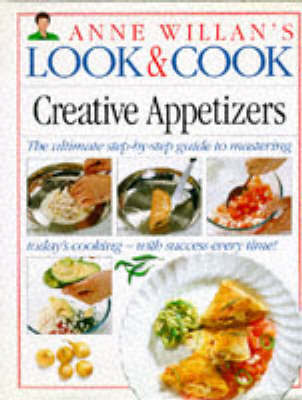 This particular book looks at appetizers including mousses, kebabs, pates, pizzas, souffles and salads. Anne Willan is the author of "Great Cooks and their Recipes", "French Regional Cooking" and "France Gastronomique" and is the founder of the la Varenne School in Paris.